With 2018 coming to a close, this half-day seminar provides human resource professionals and business owners a last-minute learning opportunity before the busy holiday season. Crowe & Dunlevy attorneys Michael R. Pacewicz and Madalene A.B. Witterholt will discuss employee valuations, followed by a light-hearted mix of employment law topics including the Family Medical Leave Act, service animals, workers’ compensation issues, employee investigations and more. 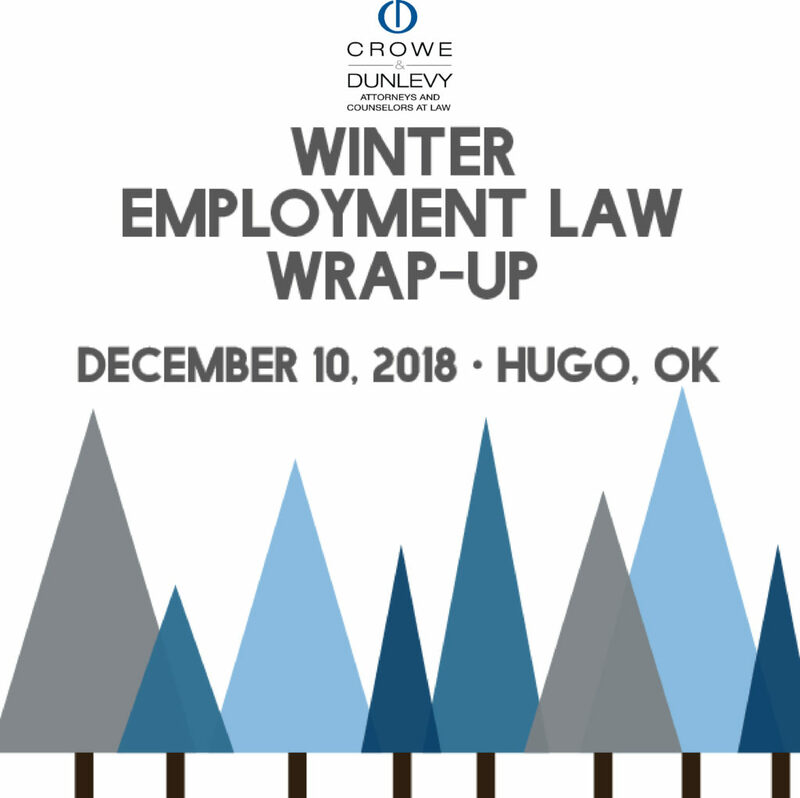 Employers will also learn how medical marijuana in Oklahoma may affect relationships with employees, the potential impact of medical marijuana on workplace policies and how its legalization could affect business operations. Register today! Sign up to attend this complimentary seminar. Human resource professionals, benefits coordinators, business owners, in-house and general counsel members. This complimentary seminar has been pre-approved for three (3) HRCI and SHRM credit hours.